Briony joined Taylor Haldane Barlex in 2001, and completed her Degree whilst working part-time at THB, becoming an Accredited Duty Solicitor Police Station Representative in this time. Briony was admitted to the roll of Solicitors in 2009, became a Duty Solicitor in 2010. In 2014 Briony became a Partner at THB recognising her hard work, loyalty and dedication to both the firm and her clients. Initially qualifying into general Crime, Briony has developed her practice to include all Regulatory Matters. Briony’s general Crime Practice sees her attending the Magistrates Court and Police Station regularly as well as the Crown Court, having qualified as a Solicitor Advocate (Criminal and Civil) in 2012. She undertakes scrupulous case preparation and prides herself in conducting her own Trials. In addition to this busy practice Briony has developed into the Regulatory field. Alongside Matthew Taylor, Briony advises upon and prepares cases for Prosecution by the Health & Safety Executive. She has Prosecuted cases involving fatalities resulting from accidents at work and also accidents in which serious injury and extensive damage was caused. Additionally, Briony has represented the Health and Safety Executive in Judicial Review Proceedings in the High Court as well as appeals before the Employment Tribunal. 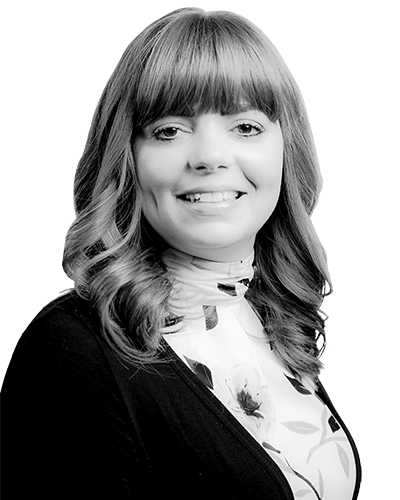 Briony has also regularly represented Interested Parties before Inquests and has experience with a vast array of matters including matters involving the state where Article 2 Inquests are required. Briony is also able to represent Clients in relation to Fire Safety. In 2017 Briony was appointed to sit as a Deputy District Judge (Magistrates Court). In 2017 Briony won the Anglia Ruskin University “Young Alumni of the Year” Award. "Briony was a breath of fresh air." "The way in which Briony dealt with the matters at hand gave us much needed reassurance." "Briony has excellent instincts for the merits of a case and is first choice for factually complicated matters."